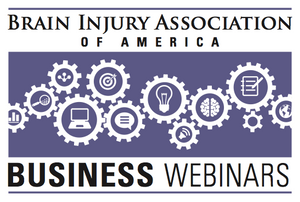 A Business of Brain Injury live webinar featuring Larissa Swan, M.S., OTR. Airs live at 3 p.m. ET June 20 , 2019. Registration closes at 11:59 p.m. ET June 18, 2019. Registration closes at 11:59 p.m. ET June 18, 2019. Larissa Swan will describe ways to encourage rehabilitation teams to adopt and implement clinical guidelines and best practices.